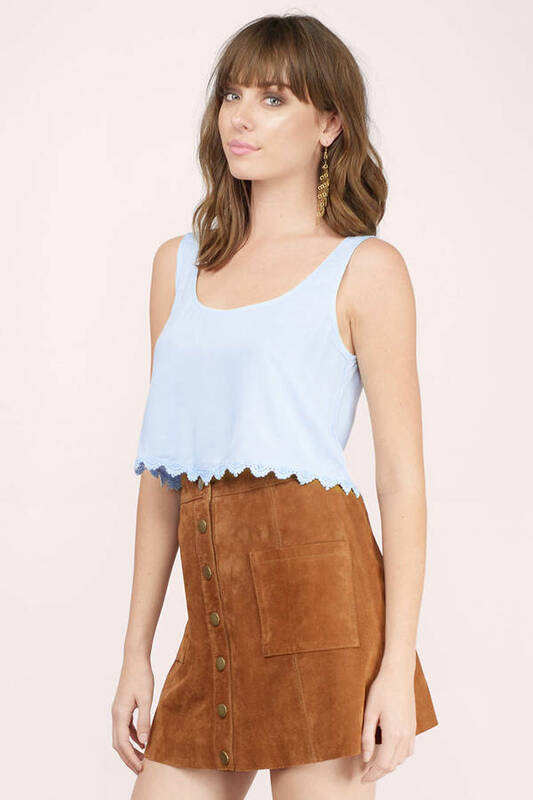 Check out Tobi's Soft Breeze Crop Top Sleeveless tank top with lace lining. Simple and casual but very cute. Wear with high waisted denim shorts and flip flops. Available in black, ivory, light blue, and orchid. Sleeveless tank top with lace lining. Simple and casual but very cute. Wear with high waisted denim shorts and flip flops. Available in black, ivory, light blue, and orchid.